When talking of the history of Tyler Arboretum, the discussion often focuses on the Painter Brothers, the two unmarried brothers whose interest in science and horticulture planted the seed of the modern arboretum. Today however, we steer the discussion to Hannah Minshall Painter (1782-1838), the mother of the Painter brothers, Minshall and Jacob. When reading about the circumstances around her birth, one cannot help but assume that Hannah Minshall was a bit of a miracle when she came into the world. 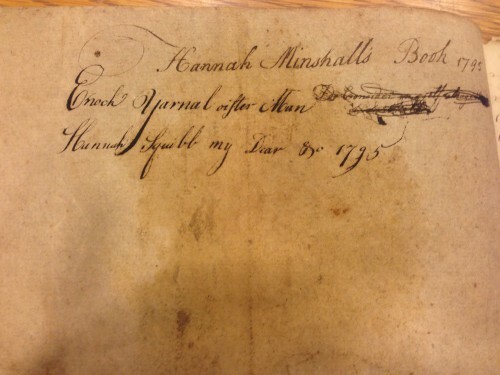 Hannah was the only child born to Ann Heacock Minshall and Jacob Minshall II. In addition to the fact that her parents wed later than the common age in the 18th century, they were married five years before Hannah’s arrival, leaving room for the possibility that Jacob and Ann may have struggled to have a child. Nonetheless, they were blessed with Hannah, who made her debut on January 28, 1782. Unfortunately, the information regarding Hannah’s everyday endeavors throughout her life is incomplete. From the writings of Quaker historians, we can assume she enjoyed a childhood similar to the average young girl of her age in this area. Hannah most likely spent her first years as an innocent child, playing and discovering her world. As she grew, her responsibilities most likely grew as well. In a Quaker family, a young girl’s job was to learn how to properly manage the household. Managing the household included cleaning, cooking, preservation of food, dairying, tending to the flax fields, spinning and sewing. Hannah was likely a very busy girl. She may have also partaken in some informal education within the home, which would have included reading, grammar and arithmetic. These skills would have helped her during her formal education in boarding school. 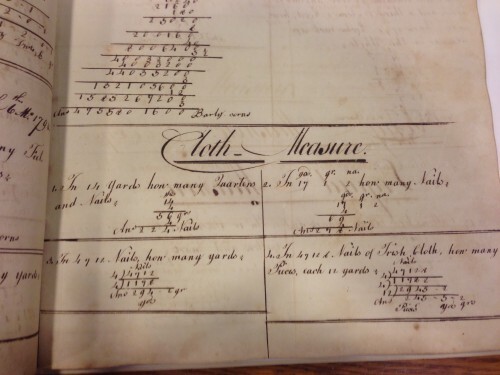 At the Friends Historical Library of Swarthmore College, Hannah’s student workbooks and copybooks, dating from 1794-1798, are well preserved. Her school-chest can also be seen in the history collection at Lachford Hall at Tyler Arboretum. Hannah’s belongings give insight to what was important in her education. The lesson books focus heavily on housewifery. Inside her student workbook there is curricula on arithmetic, clothing measurement, loss and gain and bartering. Each lesson includes common skills that were used in domesticity and would have helped to improve household management. On May 8, 1800 Hannah married Enos Painter. Together they had seven children. When they married, Hannah’s father had built a substantial business from his farm and land. Enos was very fortunate to be marrying into Hannah’s family. Before the marriage, he had only been trained as a hat maker. It is well documented that once Enos Painter began expanding the scope of the farm, which we can assume he did with help from Hannah, that he made their businesses more profitable and bought back land that had been mortgaged. Hannah provided the farm a strong family by producing seven children to help with the domestic chores. Hannah most likely also helped to manage profitable flax, dairy and weaving productions. Several portraits of her husband Enos, and her sons Jacob and Minshall are on display in the collection. Her portrait is noticeably missing, but we can still see her hand and get a taste of her life through her school books, her bed, and the many other objects in the collection that she may have used – such as the spinning wheels, the baby cradles and the kitchen utensils.